12.00pm 6 Low Street Ferriby	HU14 3DD Yorkshire's Shiznitz are rabble rousing purveyors of stray dance and folk music. They write their own songs and play lively covers of 300 year old chart toppers. Expect frenetic banjo, fiddle and catchy songs. "Live music perfect for a Sunday afternoon." Three girls from Amsterdam, Laura, Laurien, Una, with different musical backgrounds decided to start a band. They play a variation of own compositions and forgotten old songs. Their voices in harmony together will give you goosebumps. The songs vary from slow ballads to fast and playful songs performed on banjo, guitar and a variety of instruments like mandoline, ukulele, violin, klokkenspiel & accordeon. 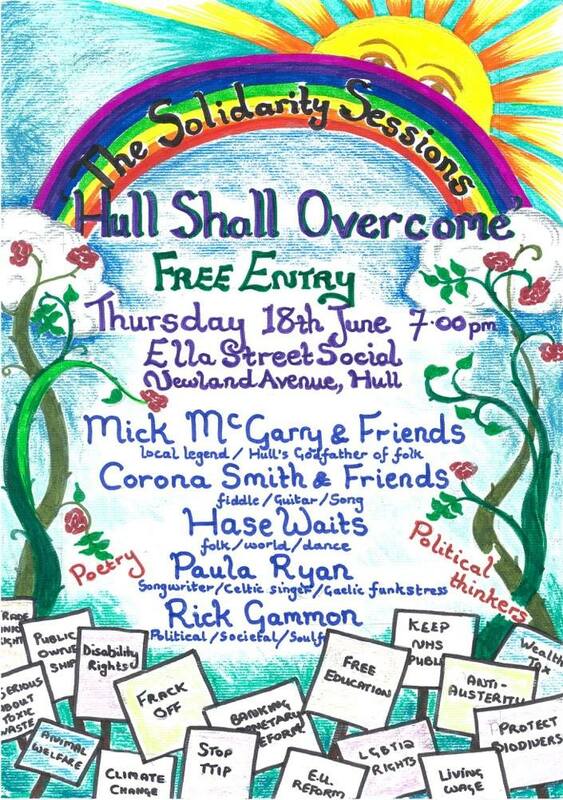 Back in Hull for the first time since expanding the line-up, (and changing the name) The Razorbills will be hooking up with old pals to brighten up a July Friday evening. 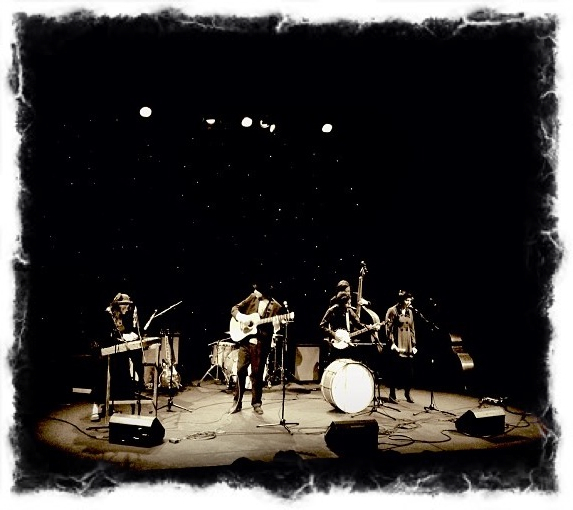 Yorkshire's Shiznitz are rabble rousing purveyors of stray dance and folk music. They write their own songs and play lively covers of 300 year old chart toppers. Expect frenetic banjo, fiddle and catchy songs. 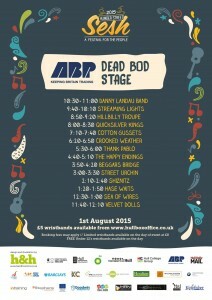 The festival runs through the weekend lots of great acts playing. Shiznitz play the main stage on the Saturday. 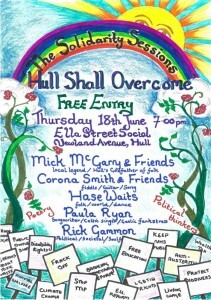 Rumour has it that Corona will be joining Jim Eldon for a 'Two Straylarkers' show on the sunday, time to be confirmed. 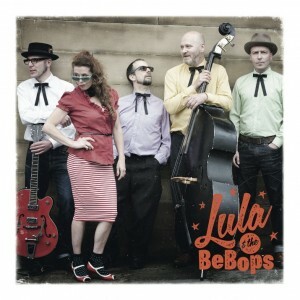 Supporting our rock'n'rolling pals from Leeds, Lula and the Bebops This will be a night for dancing! Cornucopia Festival, Weekend Festival now in its 4th year, rumour has it we are playing somewhere, sometime on the Sunday. Not a Shiznitz show but one of Corona's other projects "Two Straylarkers" with Jim Eldon, will be supporting Kathryn Tickell as a 'dad and his lass’ return to some of the intimate music venues they performed at - thirty years on-including The Processed Pea.’ Songs, stories, Northumbrian music and a good catch up. Mike Tickell and his teenage daughter travelled the length and breadth of the UK in the mid-80s discovering wonderful small music venues crammed full of like-minded music lovers. There was a connection with those audiences that they loved – a unique feeling in the air often lacking in larger venues – the likes of which they have since become more accustomed to. With a hankering to rekindle that experience a limited number of “back to grass roots shows” have been arranged to share stories, songs and memories as a ‘dad and his lass’ return to some of theintimate venues they performed at thirty years or so ago – and meet today’s audiences. 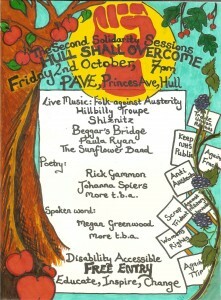 The Pea is one of those chosen and a nearly secret show has been arranged at the Light Dragoon on Monday 19 October. If you haven’t guessed we are talking about the great Northumbrian piper and fiddler Kathryn Tickell with her dad Mike. Seats are expected to sell out in a flash so be sure to book early for this exciting event. 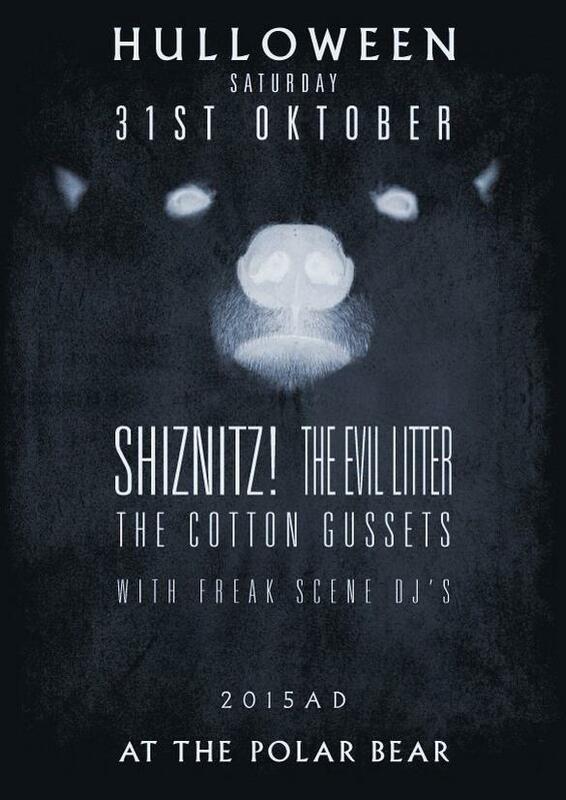 One of several Hulloween events, this should be a great night, and free entry! Getting it ready for you now. Toll Gavel, Beverley. Festive outdoor knees up.